I’m going with a Friday sabbath today. No walk, just domestics which are time-consuming enough. 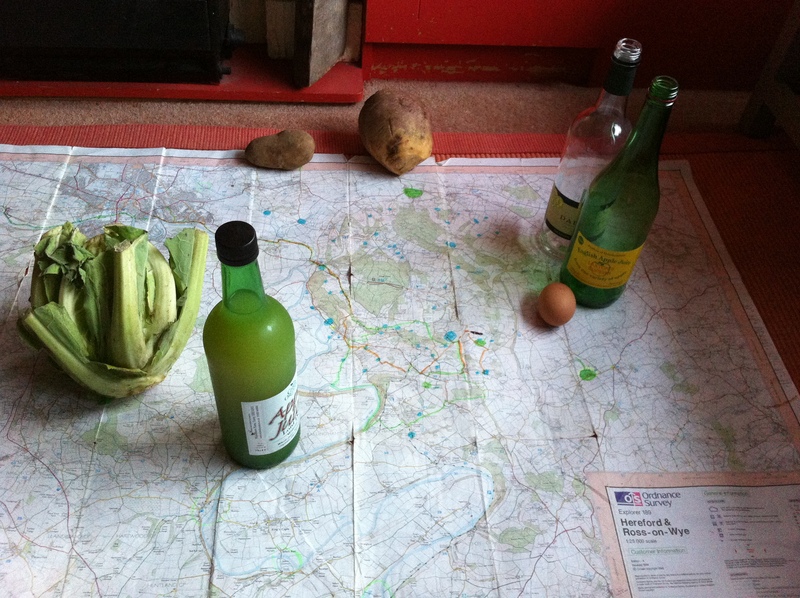 But I do start to toy with the idea of making a map of the produce I’m using… I have an idea I want to do this in a studio space with a map of Fownhope projected vast on to the floor, the routes I’ve tramped to each food seller/source progressively filled in with produce or its peelings over the course of the day’s installation as the sound track of the people I interview plays continuously… a map of local food emerges as the OS base is progressively filled.